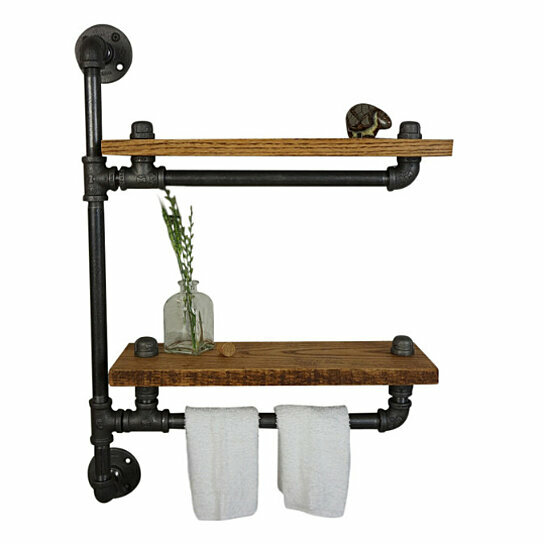 Add a touch of rustic elegance with our Ridgeview space saver bath shelving. It offers two levels of shelving to store your bath knickknacks as well as a full size towel bar, all carefully crafted and finished to suit any decor. Shelf sizes - 18" x 5.5"
The reclaimed wood features variations inherent to salvaged materials such as a rustic distressed finish, visible nail heads, knots, hairline cracks and oil stains, which may result in hue variations, rubbed edges, or other antique-like characteristics.